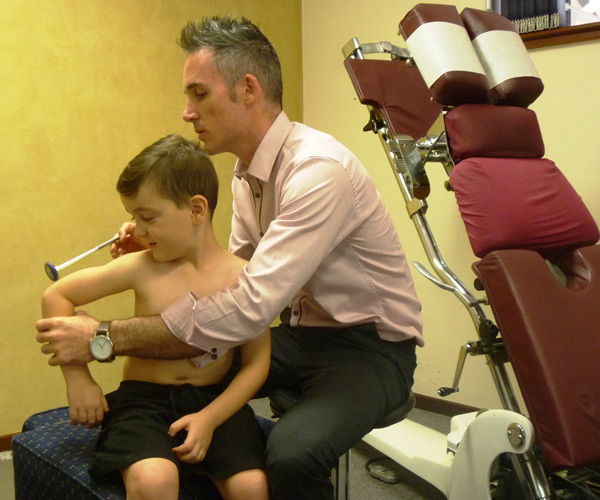 Some people believe that an individual does not choose their vocation, it chooses them….at the age of 9 yrs old, Dr Scott made the decision to become a Chiropractor. How and where did this decision come from in such a young person?? Like many before him, a major influence on his decision was a personal success story. Bronchial asthma played a significant part of his childhood, with swimming, breathing exercises, dietary changes and medication all being utilised. However, his early Chiropractic care revealed far more of the body’s healing capabilities. Much has occurred since that decision was made, however his certainty, passion and enthusiasm for Chiropractic has only grown and has now developed into a full blown obsession. This obsession has been inspired by the knowledge that the “default setting for the human body is 100% health”. It is further fuelled with a desire to understand what constitutes true health, to appreciate and comprehend the benefits of movement of the body (especially the spine) and subsequently achieving as much out of the human body as possible. Dr SCL initially completed a Bachelor of Science with a major in Anatomical Sciences at the University of Queensland, before graduating in 2002 with a Masters of Chiropractic from Macquarie University. In the time since graduation, his education has not stopped. In 2007 he became one of the youngest ever Gonstead Diplomates, responsible for teaching the Gonstead system of Chiropractic around the country. In 2012 he completed and was subsequently accepted into the Academy of Chiropractic Philosophers and in 2014 he completed the Diplomate in Chiropractic Paediatrics. In short, Dr SCL has ensured he has equipped himself with the greatest available knowledge so as to provide the best Chiropractic care, with the best understanding and with the greatest skill and application. Another exciting challenge ahead for Dr Scott is in the mentoring and coaching of Chiropractic students and young Chiropractors, both within his own private practice and through teaching avenues within the profession at large. 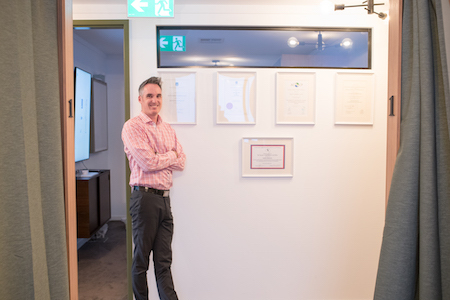 With his exposure to teaching and mentoring both through the Gonstead Chiropractic Society (Aust) and with local students (Murdoch University Chiropractic students) and Chiropractors, a passion and desire to increase the quality of Chiropractors has developed. Are you a good candidate for chiropractic care? Contact us to arrange a time to discuss your health issue in person with Dr. Scott Campbell-Lloyd.